Ryan admits it's a bonus for Kildare to be still involved at this stage of the summer. JUST A WEEK after defying the odds to gun down Cork in Thurles, Kildare have now got their eyes on the biggest scalp of all and a former Lilywhite captain believes now is as good as time as any to topple Kerry. It was a performance, and result, not many saw coming as Jason Ryan’s side stunned Semple Stadium to march into the All-Ireland quarter-finals for the first time since in 2012. An unexpected run to the last eight represents a scarcely believable revival from Kildare after suffering a heavy, and chastening, reversal to Dublin in the Leinster championship semi-final. But Glenn Ryan says that defeat has served as the spark in the Lilywhite resurgence as they’ve built up a head of steam in the qualifiers. “They had two good games leading up to the Cork game and it helped get the confidence back,” the former centre back said. “Everyone was wondering what sort of Cork team would turn up after the replay and I’d imagine they would have been very disappointed with their performance. “But Kildare were very, very good. That stunning 1-21 to 1-13 victory over Brian Cuthbert’s jaded side was preceded by equally significant wins over Longford and Offaly as Kildare were forced to take the long way round. 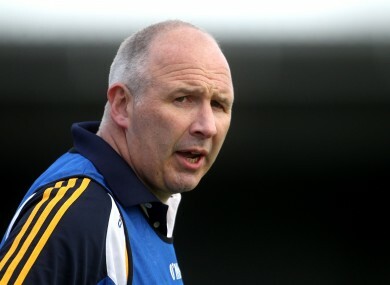 As Ryan admits, the luck of the draw was on their side but nobody can begrudge them their place at Croke Park on Sunday. “The draws they got helped,” he continued. “They were games they were expected to win and while you have to go out and do it, those wins allowed the team to gain confidence again and work out some sort of plan. Somewhat unsurprisingly, Kildare have stuck with the same side that brought Cork to their knees last time out after Eamonn Callaghan recovered from the injury that curtailed his involvement in Thurles. Ryan, who captained the last Kildare team to beat Kerry in the championship back in 1998, knows if Callaghan and his team-mates can reproduce that same level of performance on Sunday, they can beat anyone. But that’s the heart talking. The two-time All-Star would dearly love a Kildare victory at GAA HQ this weekend but he admits the chance to loosen Kerry’s grip on the Sam Maguire may just have come too soon. “There’s no reason to think they can’t win but Kerry are the All-Ireland champions for a reason but I just feel Sunday might be coming too quick for them. Email “'Sunday might come too quick for Kildare but if there's a time to beat Kerry this is it'”. Feedback on “'Sunday might come too quick for Kildare but if there's a time to beat Kerry this is it'”.